Ronald van der Meijs: New publication of the sculpture Obscura Reverse on Designboom. New publication of the sculpture Obscura Reverse on Designboom. After more then a year of production the sculpture Obscura Reverse is finally finished. I'm proud to say that Designboom has published it! 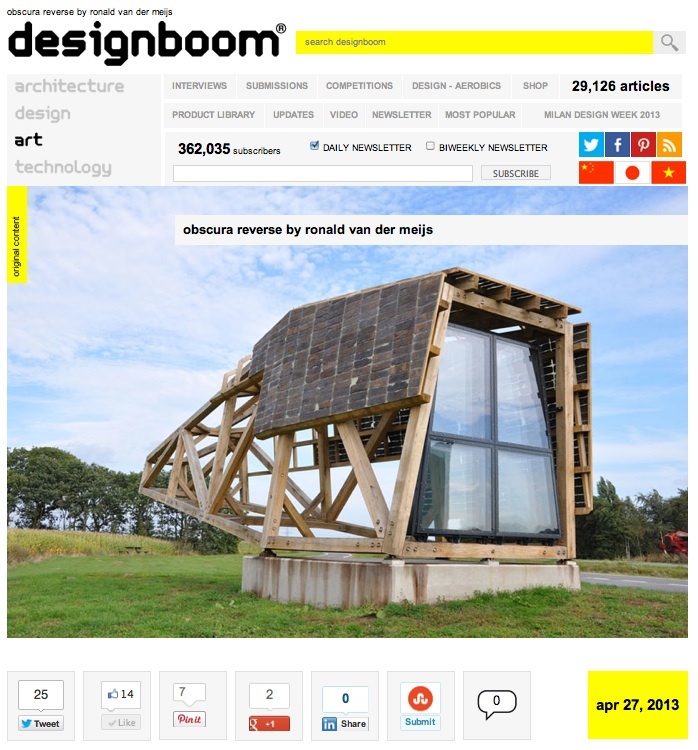 For more pictures see the site of Designboom.